My goal with Carova Beach Builders is to build a superior custom home which is affordable and will meet the needs of your family. Because I only build one to three houses a year, I am able to personally oversee every project. Each house is built as if it were my own. I live and work exclusively in the Four-Wheel Drive community. This allows me to be on the job site every day; ensuring adherence to quality, schedule, and cost. It also allows me to send updates and pictures to the client throughout the construction process. We specialize in unique designs for all types of private and investment homes on the beautiful beaches of Carova and Corolla, on the northern Outer Banks of North Carolina. 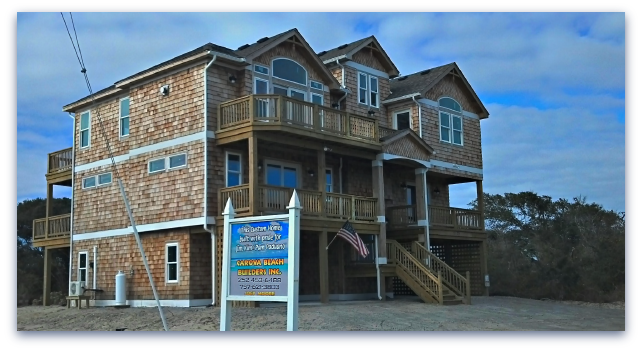 Carova Beach Builders is your FIRST STEP in building your quality dream house on the beach. Contact us for a FREE QUOTE today! Building Quality Dream Homes in the Sand.